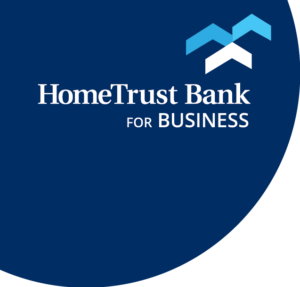 HomeTrust Bank is on social media to engage with our customers about our community, provide you with financial tips, and give you updates about our company. Because our social media pages are public and anyone can participate, we cannot be responsible for views expressed other than our own. Although we welcome your questions and feedback, we may occasionally remove posts that don’t fit our community guidelines. That includes but is not limited to any offensive, defamatory, false or misleading material, personal attacks, and discriminatory or offensive language. Any material or users may be removed at HomeTrust Bank’s sole discretion. Never post personal information. This includes confidential, financial or personal information about yourself or anyone else. Please know that employees from HomeTrust Bank will never ask for your banking information over a social media platform. Stay on topic, use common courtesy and be respectful of others. Submit your own original content and avoid posting copyrighted work. Our social media pages are moderated by HomeTrust employees Monday – Friday 8:30 a.m. to 5:00 p.m., and we’ll make every effort to respond in a timely manner. If you need immediate assistance Monday – Friday 8:00 a.m. to 7:00 p.m., Saturday 9:00 a.m. to 3:00 p.m. please contact our customer care center.